Lynn Zook from Classic Las Vegas tells us there’s a star-studded tribute and fundraiser this Sunday for legendary lounge performer Norman Kaye. This Sunday, April 20th, a bevy of Classic Las Vegas Entertainers including Nelson Sardelli, Pete Barbutti and Charlie Callas will join with Clint Holmes, the Las Vegas Tenors and Jimmy Hopper to perform at a fundraiser for Las Vegas Lounge Icon, Norman Kaye. Kaye, along with his sister Mary and friend Frankie Ross, were the Mary Kaye Trio. 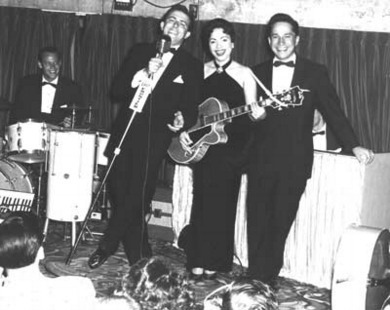 They, along with the Treniers, revolutionized the lounge scene on the Las Vegas Strip in the post-WWII War era. Norman Kaye suffered a stroke a few years back and is still dealing with its debilitating effects.